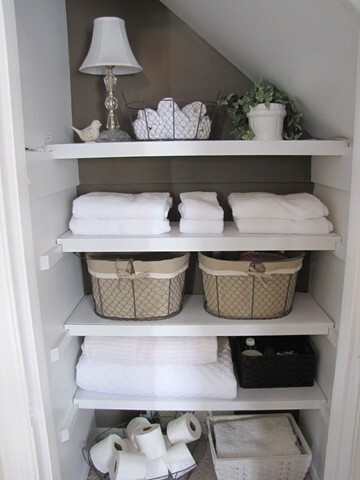 If you're like me you have one bathroom in your home that's small. 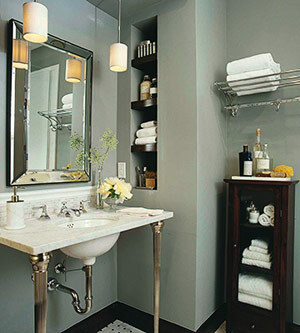 Maybe it's just a half bath or powder room or a 2nd bathroom like mine. And because of it's size, storage can be a problem. I'm actually trying to kill two birds with one stone. Let me explain. 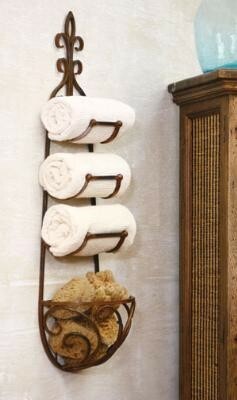 The first thing I'm trying to do is bring some "character" to my small 2nd bathroom. 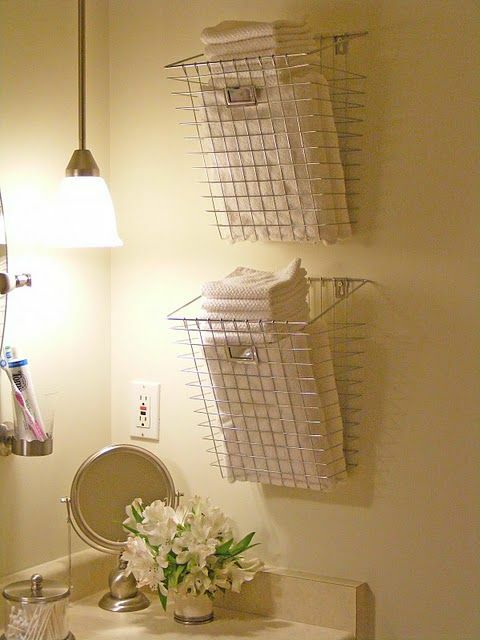 There is just not a lot of wall space to do anything creative in there. So I have to think outside the box. Second. 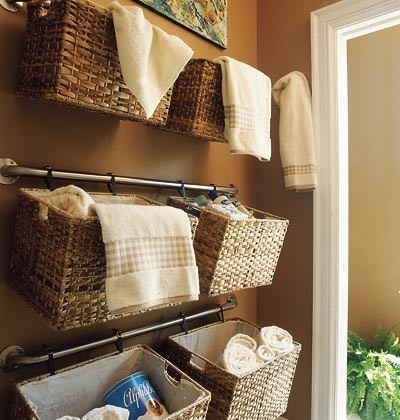 I would like more storage for towels, and toiletries that are used often. There is a good size closet in my 2nd bathroom, but somehow my husband has taken over this space. Which is ok, because this is where he gets dressed and ready in the morning. And if that means he doesn't have to come in the bedroom and wake me up, then I'm fine with him taking over that closet. 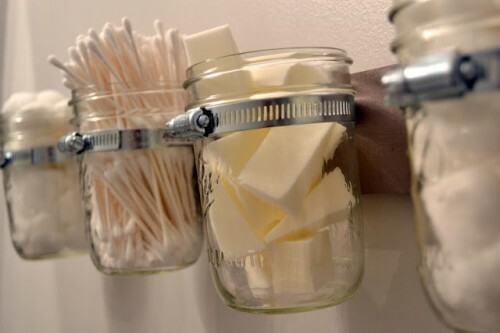 So here are some creative ways to add interest and gain a little bit more storage in the process. 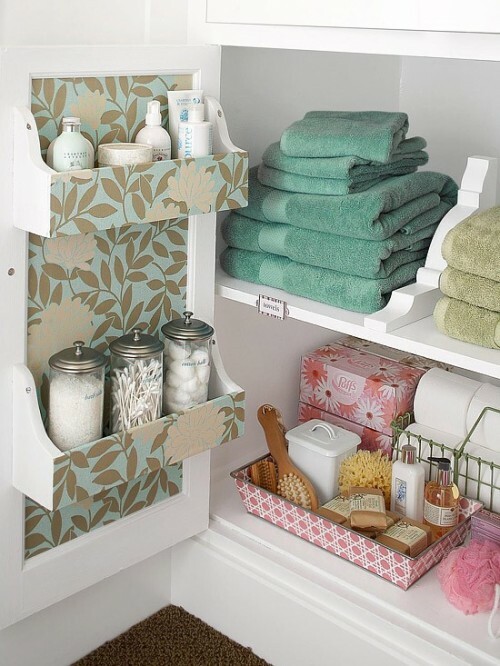 Without cluttering your cabinets! 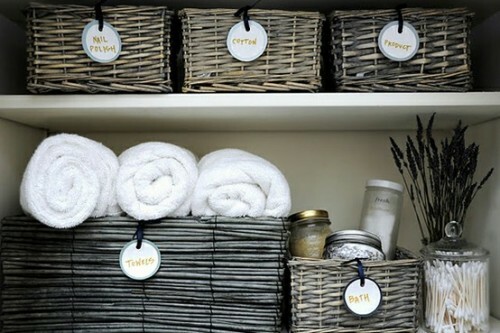 And less clutter is the name of the game! 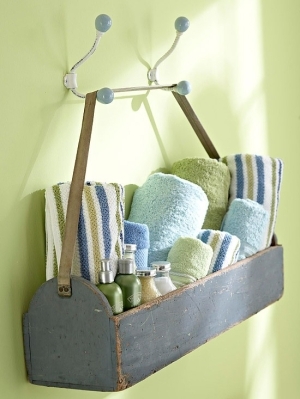 Did you find some clever ideas for your small bathroom?